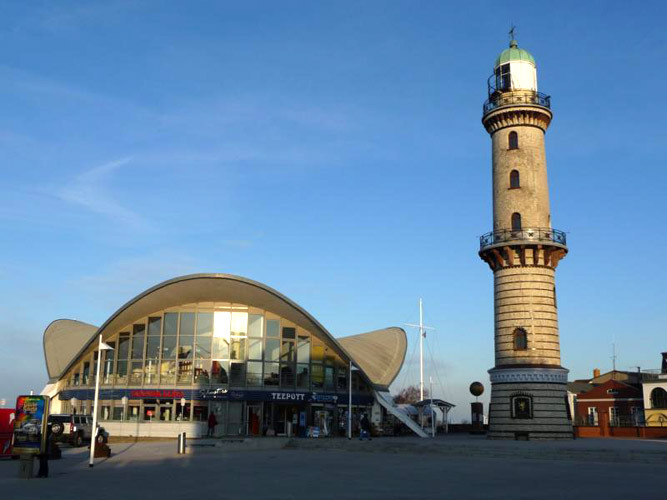 The most beautiful section of Rostock is the Baltic Sea Spa Warnemünde where the 150 meter wide beach welcomes the Warnow into the sea. 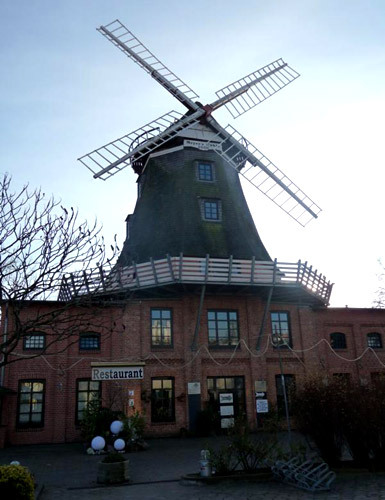 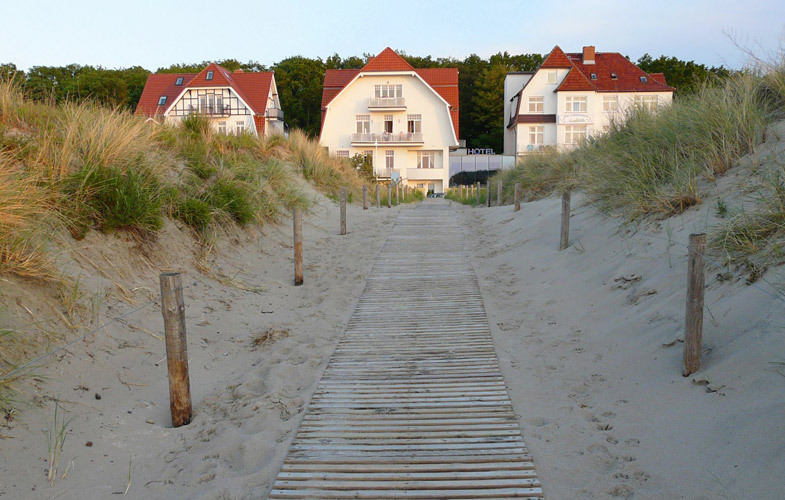 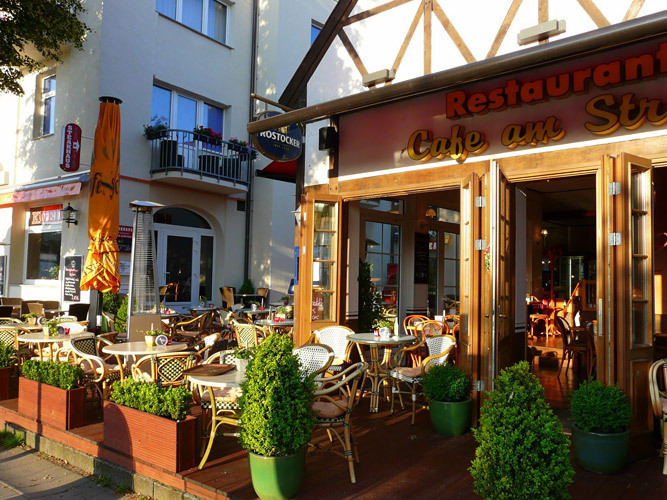 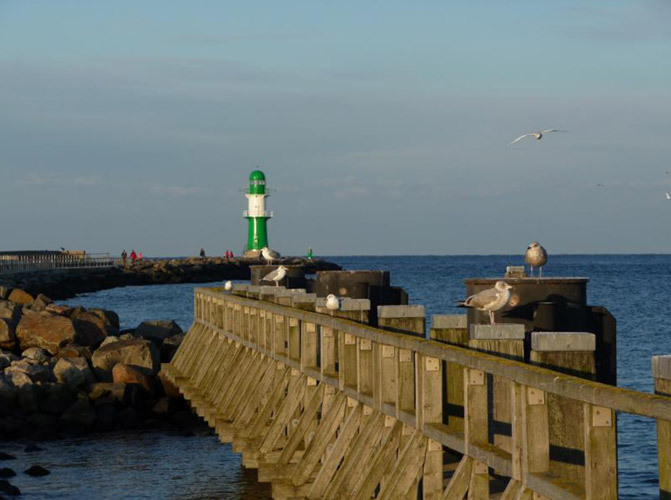 This slice of coast which runs from the Baltic Sea Spa town of Nienhagen just beyond the cliffs and the coastal forest to Warnemünde and beyond to the Hohe Düne, Markgrafenheide and Graal-Müritz is 20 km long. 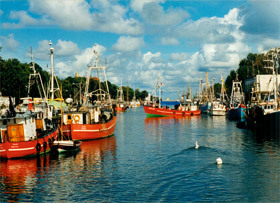 Nature is well preserved here and allows the visiting tourist plenty of room to explore and enjoy its beauty. One of the most beautiful beach towns on the Baltc, Warnemünde invites you to wonder the beach promenade. The Alte Strom offers plenty of boats and small ships to take you on tours of the harbor and coast, small cafes, restaurants and old fisherman’s pubs are a welcome place to relax. 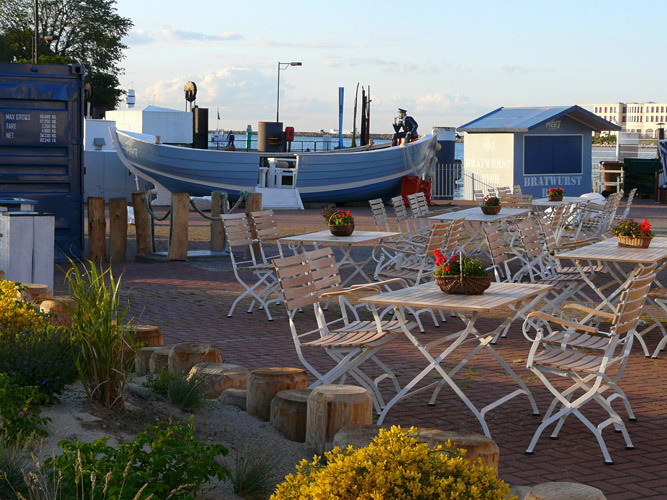 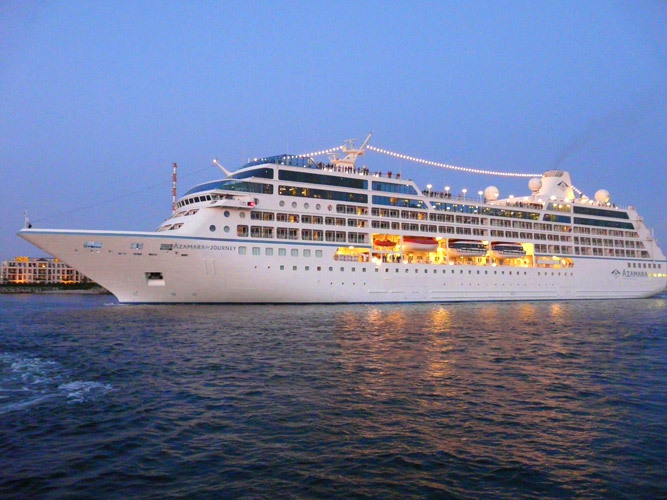 The romantic captain’s houses have a maritime flair that is special to our town. 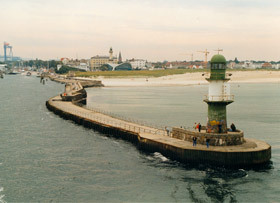 The southern end of the Alte Strom is somewhat quieter. 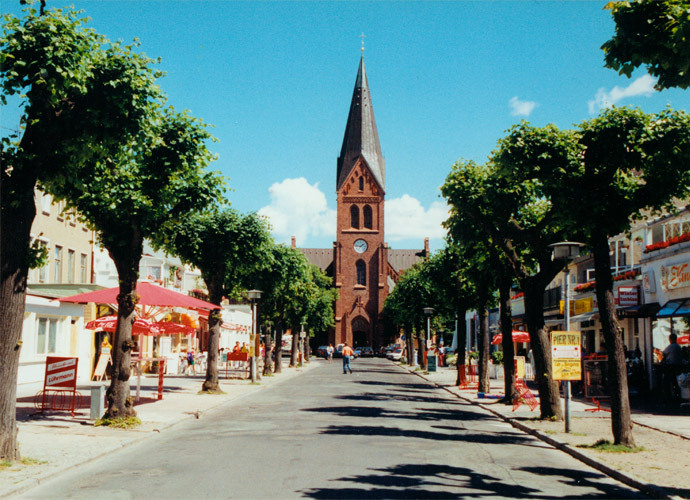 Here you come upon "Achterreeg" (Alexandrinenstraße) and the "Vörreeg". 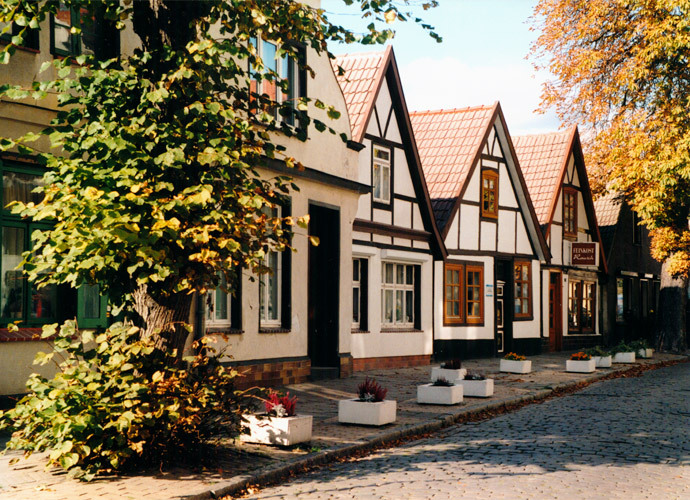 In the quaint cobblestone streets you can find pure relaxation and quiet. 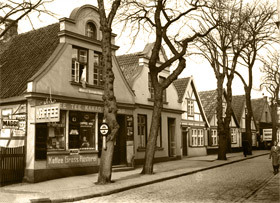 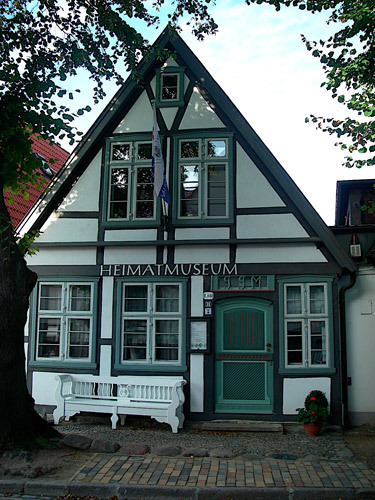 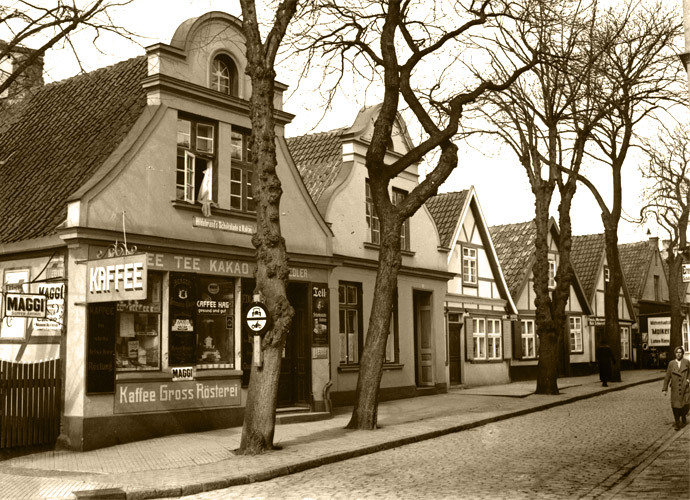 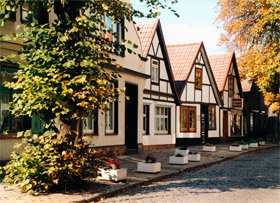 On the front side, once known as "Vörreeg" you can explore the many shops, ice cream dealers and other surprises on offer. 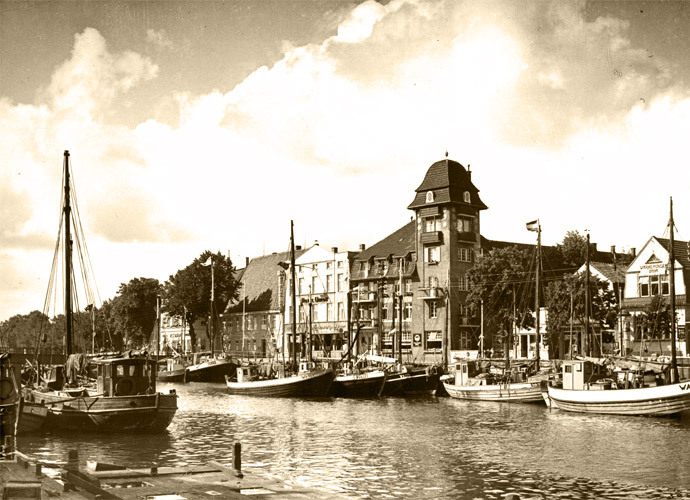 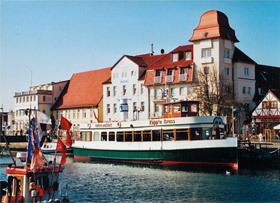 The old ferry port, train station, and marinas can be found on the Middle Mole. 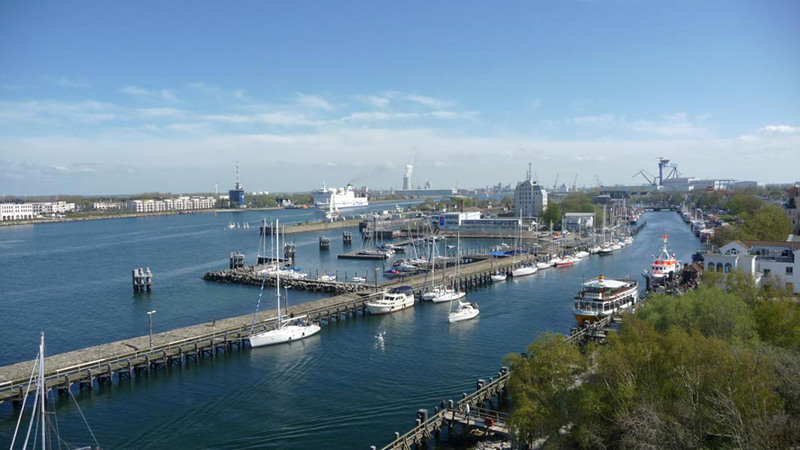 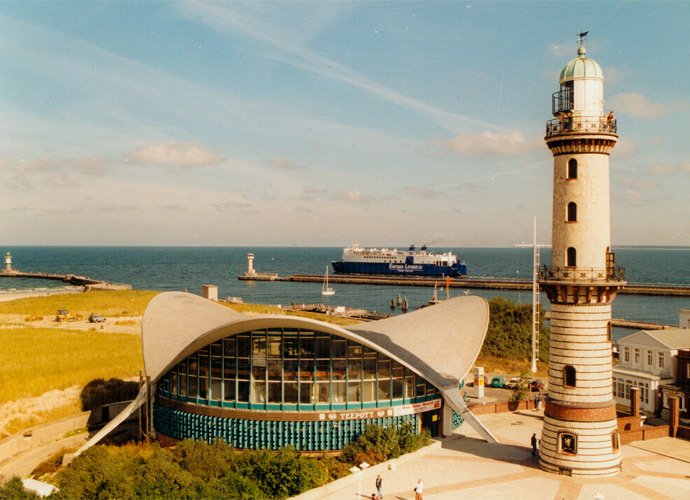 Atop Warnemünde’s 30 meter tall lighthouse you have a view over the entire town and coast. 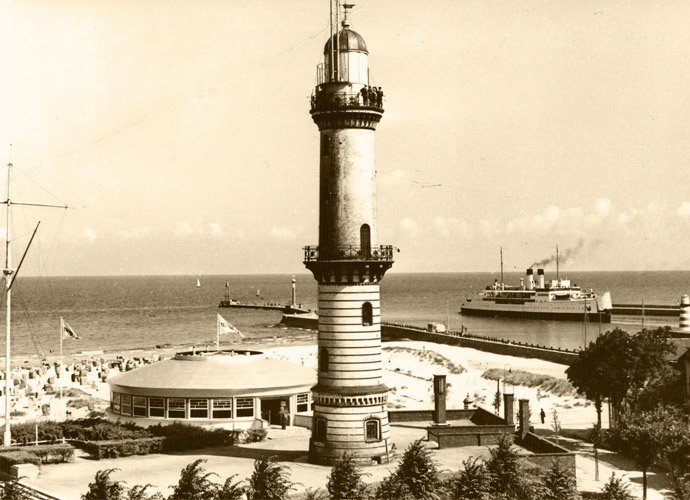 Built in 1897 as a warning for the ships at sea to bring them safely into the harbor, today, thanks to the work of Warnemünde’s hobby lighthouse watchmen, it is one of the most popular attractions in town. 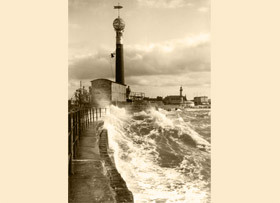 A plaque on the old pilot house stating „The last house before Denmark“ is a memorial on the 1872 storm and flood. 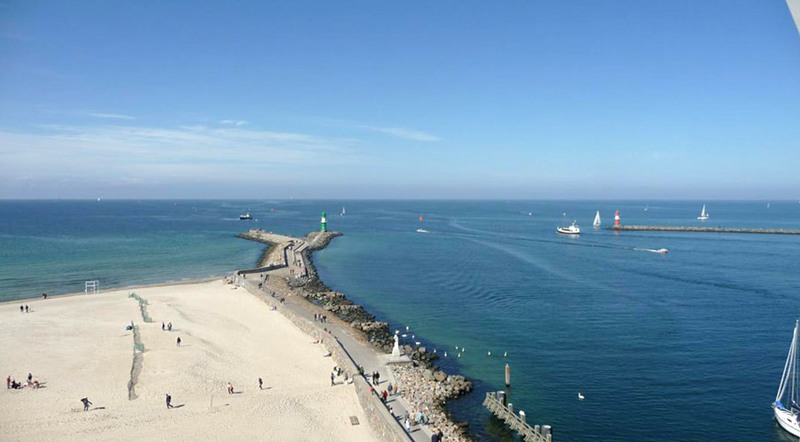 During the summer one finds the popular festivals Warnemünde Week and Hansa Sail. 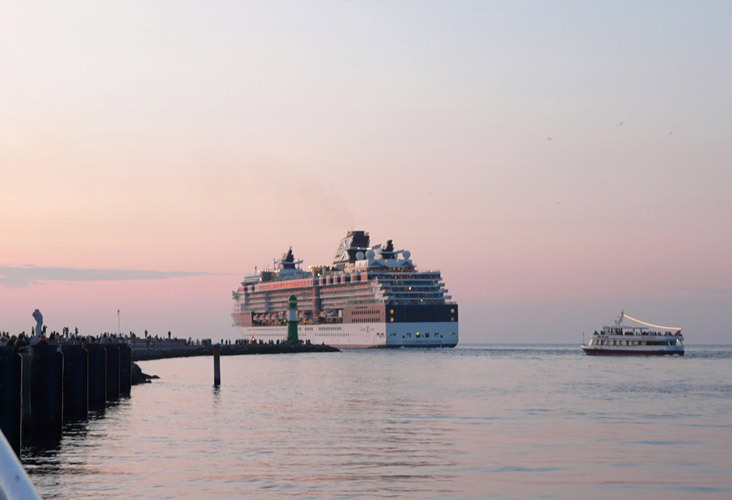 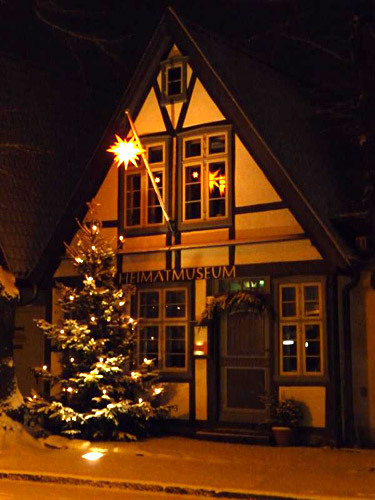 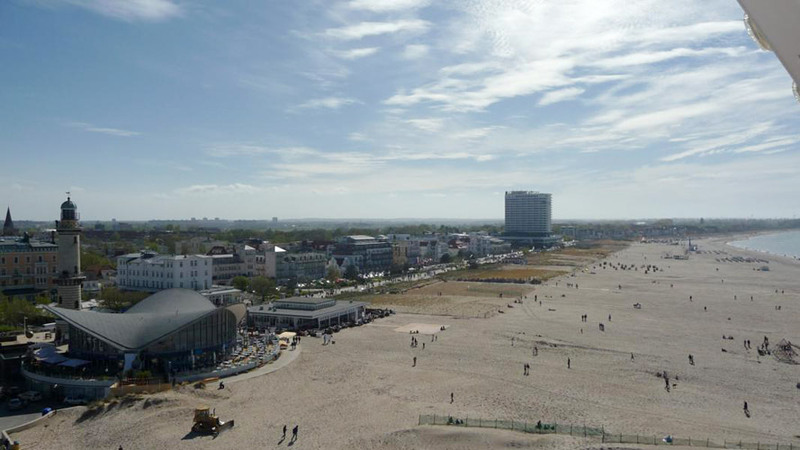 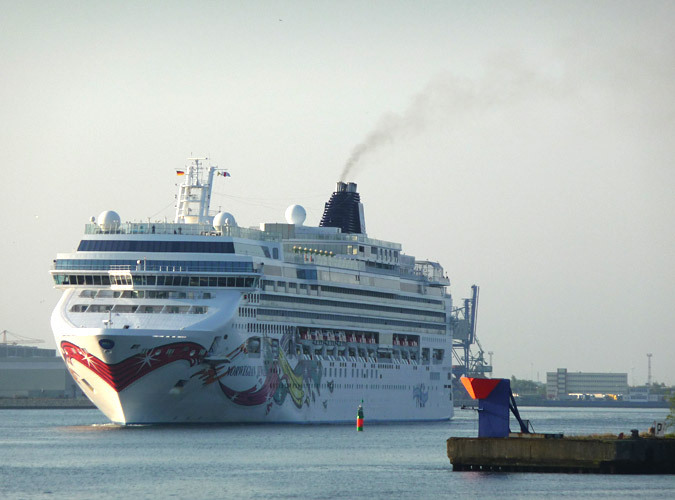 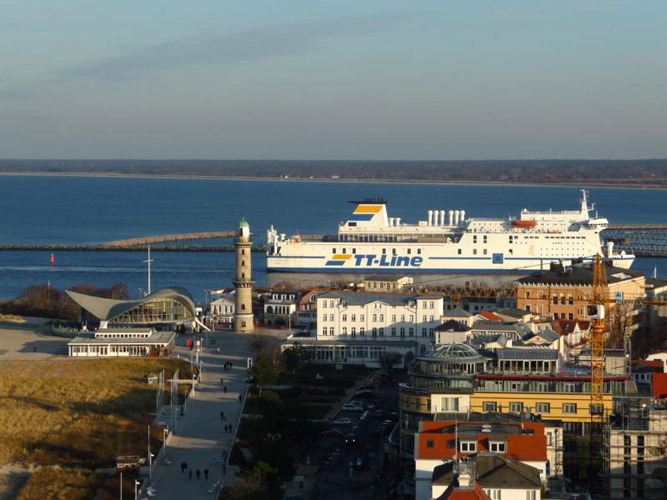 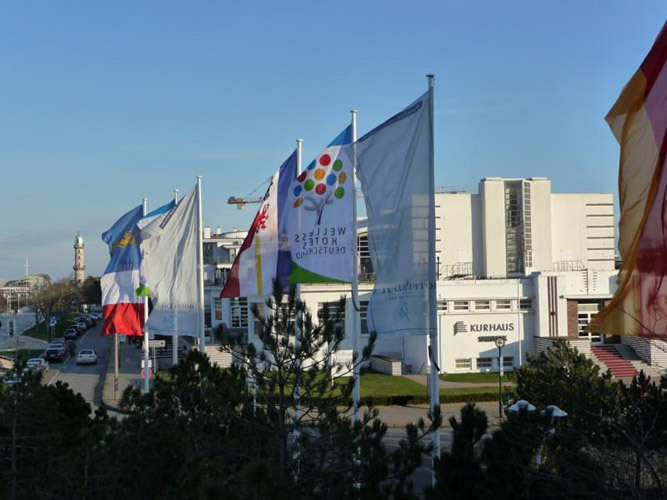 These events bring a million tourists to Warnemünde! 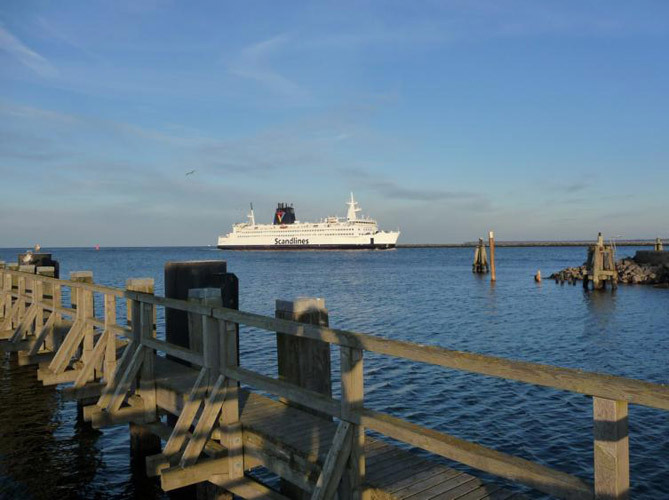 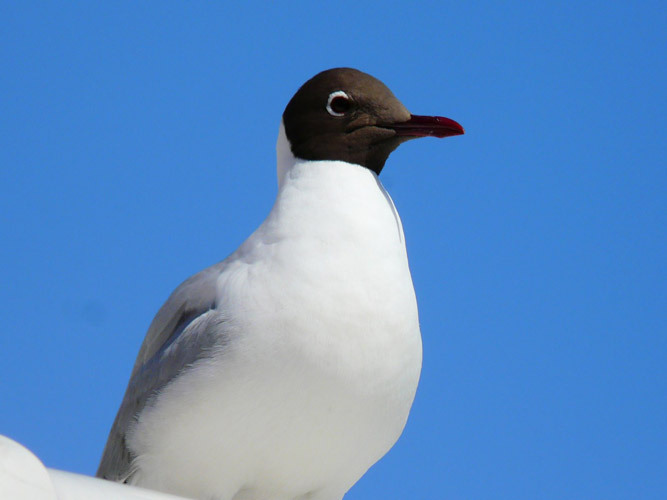 Two of the great places of interest are also the Moles, from where one can see out over the ocean and along the coast, watch the ferries and cruise ships coming and going, and enjoy the soft spray of the sea. 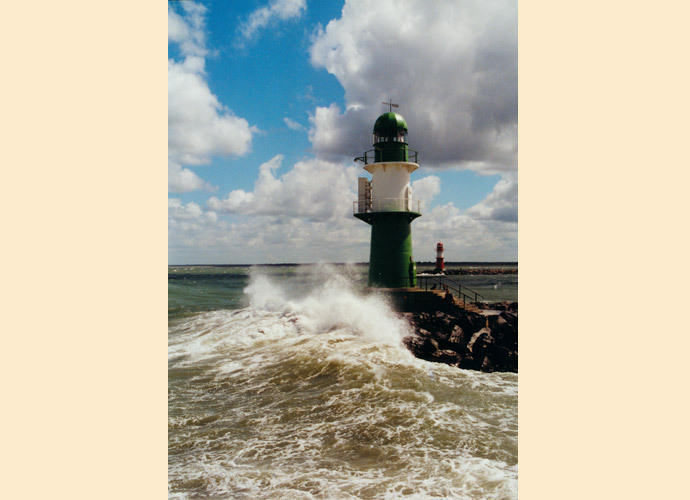 Be careful though, you can’t always get to the end; depending on the weather and the sea. You can really feel the mood of the ocean here. 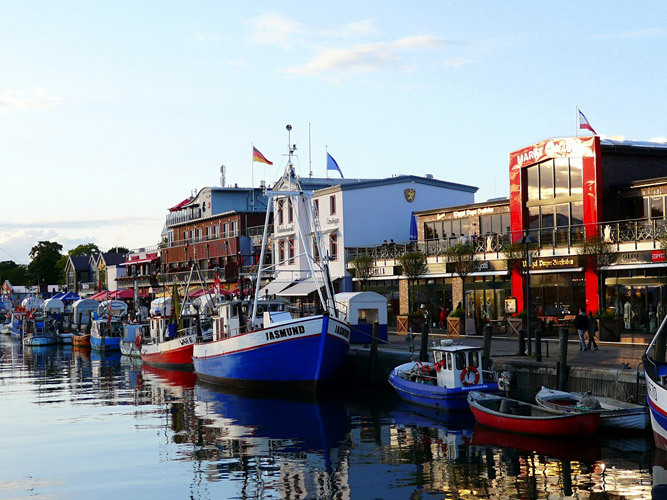 Warnemünde… the over 800 year old fishermen’s village was once the province of Danish kings and Slavs. 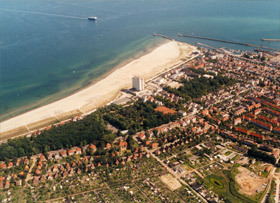 This small settlement was a royal residence and later a strategic military area. 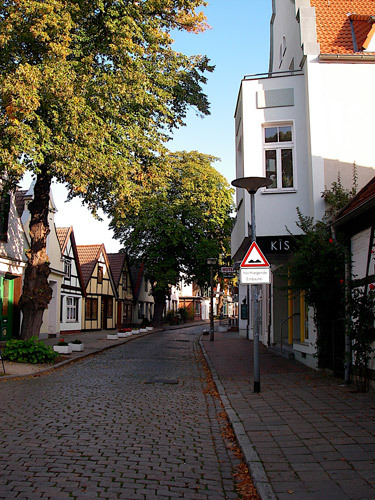 The Mecklenburgs forced the Danes out and in 1323 Rostock bought the tiny town to control the vital entry point to the Warnow for merchant ships. 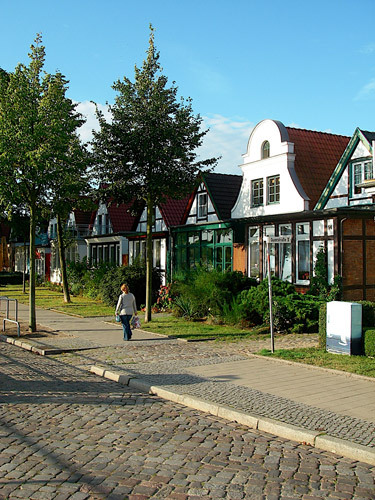 For the residents, this was no great favor, as they were under the control of the powerful Hansa city and lost many rights, including their most important, selling fish. 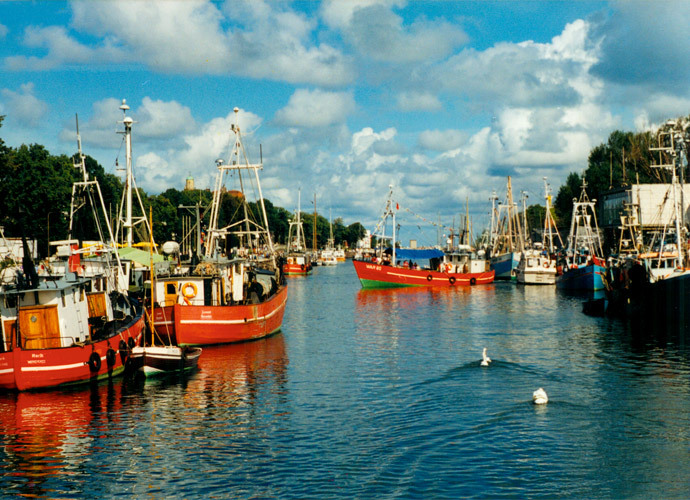 The fish market is no longer the main source of revenue for Warnemünde, although you can still get your fresh catch directly from the cutters. 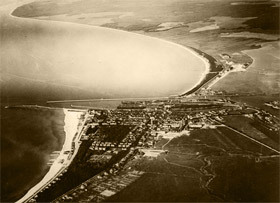 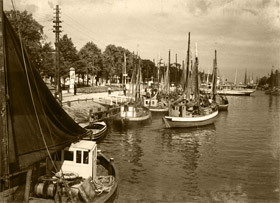 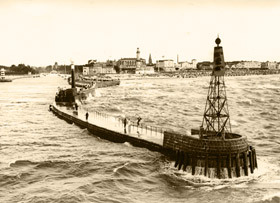 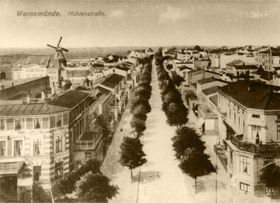 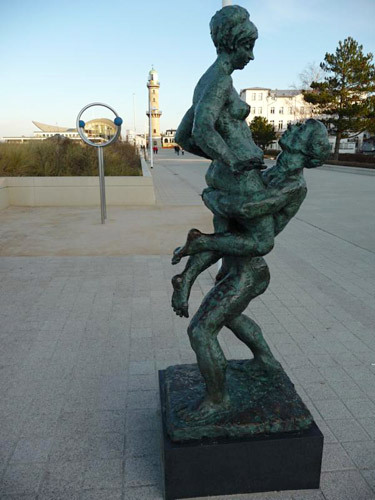 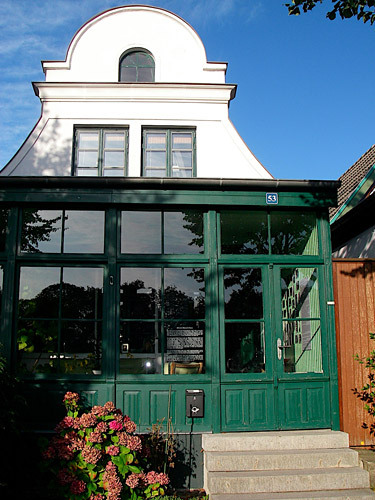 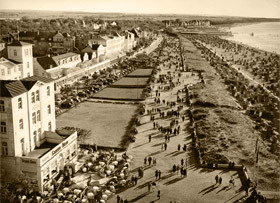 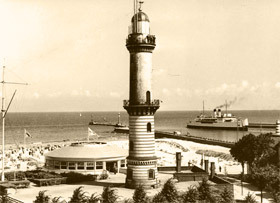 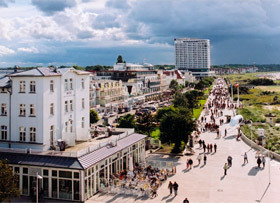 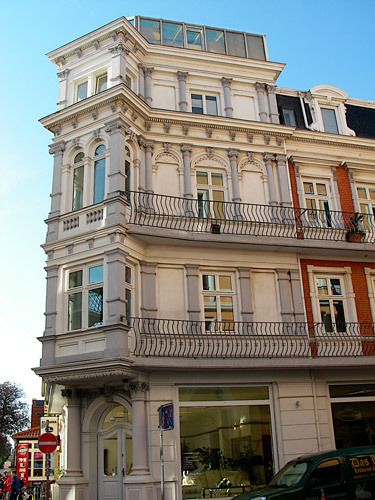 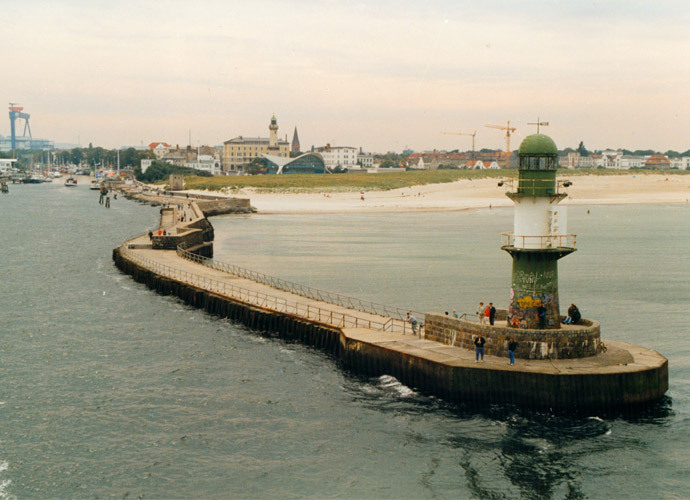 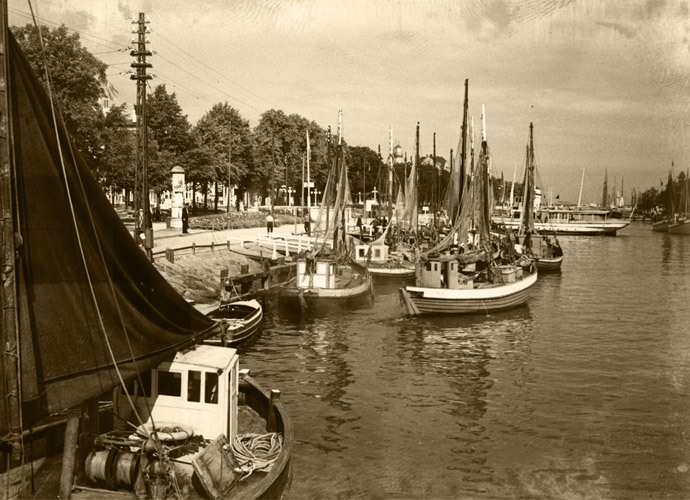 With the coming of sea bathing, Warnemünde developed into a spa town in the second half of the 19th century. 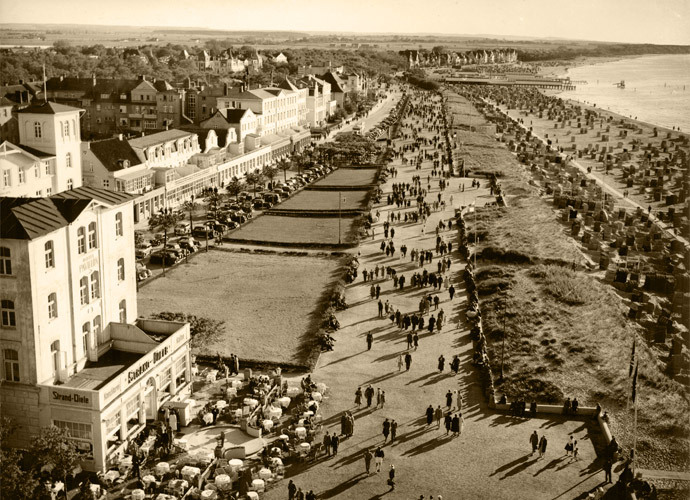 In 1888, the Bathing Association was founded who began the Spa Tax which helps maintain the beautiful town. 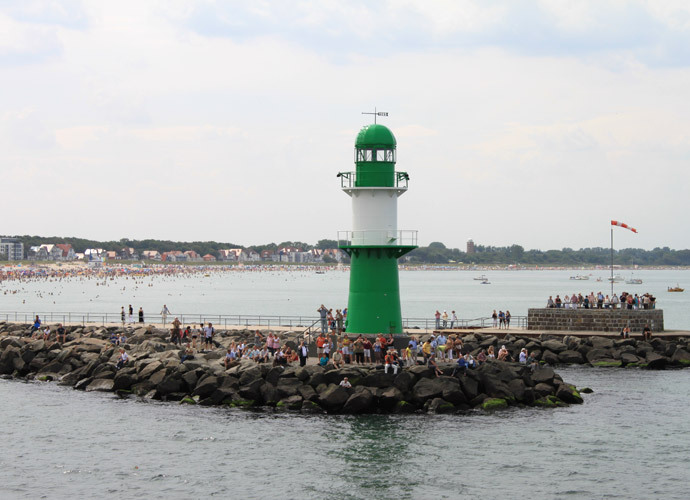 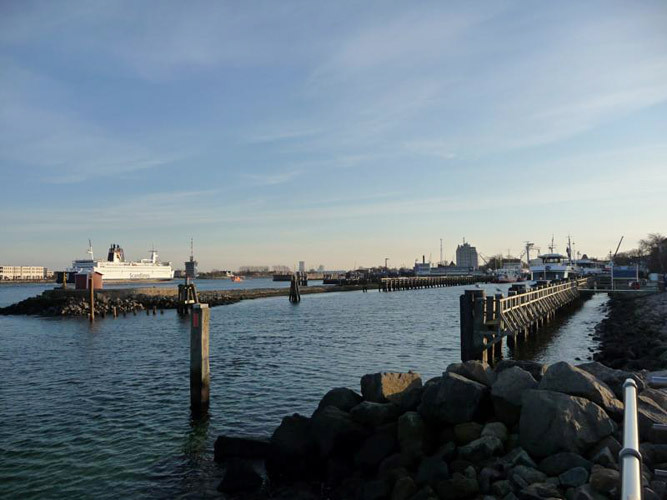 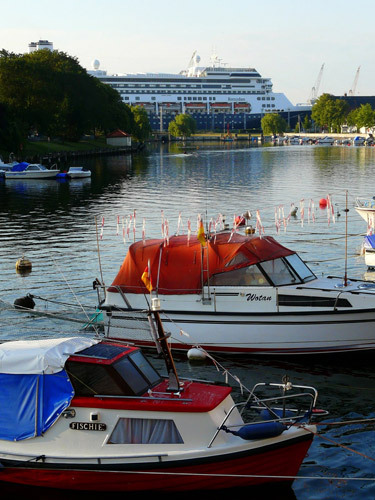 Rostockers may call Warnemünde “The Big Bathtub” but it is much beloved by visitors from all over the world and is a major destination for vacationers from point all over Germany.